Happy Thanksgiving. And while you're waiting on the turkey to be served, check out the latest in our Rangers Minor League Rankings.Ranking: 4Player: Nick WilliamsPosition: LF Draft selection: 2013, first-round pick Team: Double-A Frisco 2014 season: Myrtle Beach: 94 G, . It's mid-August, which means football season is closing in rapidly. Perhaps that explains all the 7's and 14's we found in our weekly look at MLB's interesting and unusual happenings. 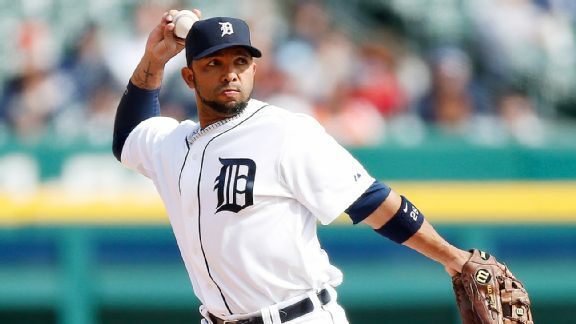 The Detroit Tigers have released opening day shortstop Alex Gonzalez and purchased the contract of infielder Danny Worth from Triple-A Toledo. The Orioles have signed veteran infielder Alex Gonzalez to a minor league contract with an invitation to spring training. BOSTON -- Travis Demerritte, the Rangers' selection with the 30th pick in Thursday's First-Year Draft, will play somewhere on the infield once he signs. BOSTON -- The Rangers covered a lot of ground with their first three picks in Thursday's First-Year Draft, going for a college pitcher, a high school infielder and a prep pitcher. The Texas Rangers made their first pick in the 2013 MLB draft just moments ago and took right-handed pitcher Alex Gonzalez 23rd overall. Gonzalez is 6-foot-3 and pitched for Oral Roberts. Searching for offensive help, the Milwaukee Brewers traded for third baseman Juan Francisco on Monday and promoted second baseman Scooter Gennett from Triple-A Nashville. Keith Law scouts the Southland and Conference USA tournaments, seeing several prospects, headlined by possible top-10 pick Alex Gonzalez. Todd Zola discusses a handful of hitters who are undervalued because they are playing more often or hitting in a better lineup slot than originally expected, such as Chris Heisey and Evan Gattis.